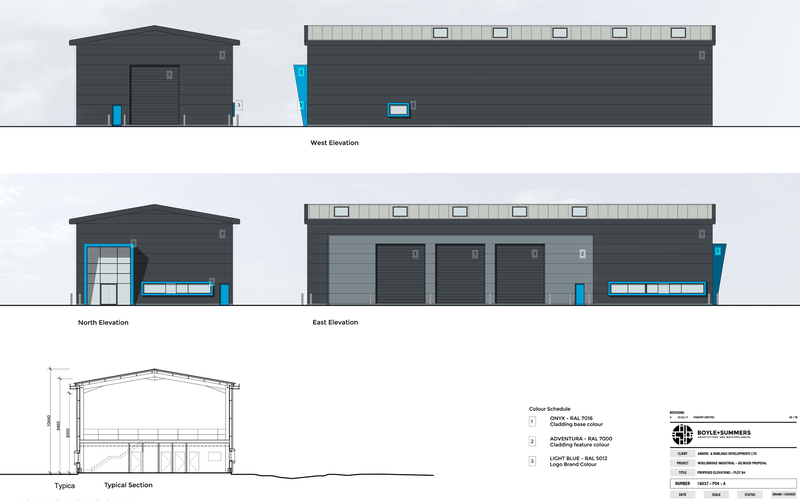 We were asked by Selwood Ltd to assist them in obtaining reserved matters approval for a new industrial unit on the Woolsbridge Industrial Estate at Three Legged Cross near Ringwood. Selwood are world leaders in the manufacture of commercial pumps and needed a new facility to service their pump and plant business in the local area. The development is the first element in the implementation of the outline approval for the extension of the industrial estate. Selwood had an ageing and small unit elsewhere at Woolsbridge and wished to upgrade and relocate. The new building includes a mezzanine floor and provides reception, office, welfare, workshop and storage space. Externally the building signal an increased emphasis on high quality design and materials across the entire estate.